This fashion industry maven has a penchant for chic skirts and crop tops. Check out how this beauty from Bermuda slays the streets of New York. Salvatore Ferragamo jacket, Burberry skirt, Azzedine Alaia boots, and Smythson pouch. Follow Shiona on Instagram and Twitter @shionat. 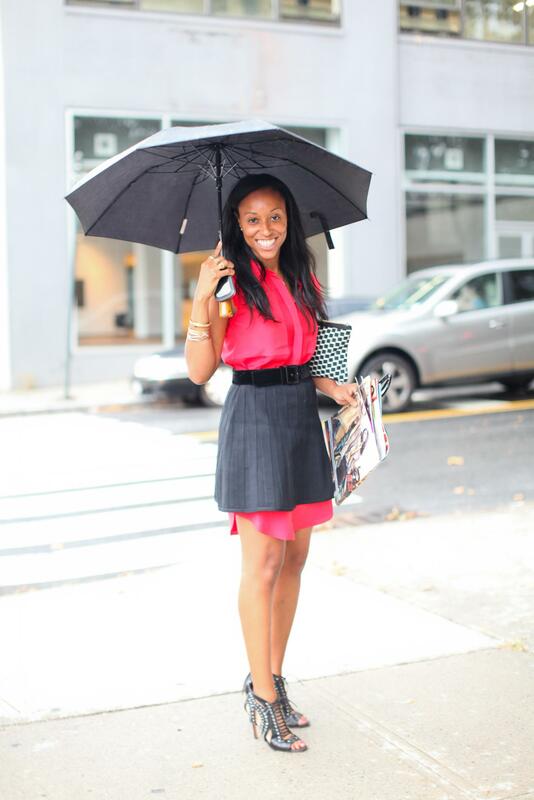 Salvatore Ferragamo coat, Burberry skirt and umbrella, Celine heels. Burberry coat, 3.1 Philip Lim top, Balenciaga skirt and Alexander Wang boots. Junya Watanabe dress, Alexander Wang boots, and Burberry jacket. Salvatore Ferragamo fur, and Azzedine Alaia boots. Salvatore Ferragamo fur, Givenchy shirt, Zana Bayne harness, and vintage leather skirt. Yves Saint Laurent blazer, Marc Jacobs shirt, Sportmax skirt, Christian Louboutin spotted pumps. Salvatore Ferragamo coat, Yves Saint Laurent tuxedo dress, Helmut Lang leatherleggings, Balenciaga boots, and Chanel bag. Theyskens Theory top, Prada skirt, Burberry shoes and scarf, and Chanel bag. DKNY jacket, Marc Jacobs scarf, NIKE sports bra, Fendi skirt, NIKE sneakers, and Proenza Schouler bag. Barbara Bui top, Salvatore Ferragamo pants, Christian Dior bag, Maison Martin Margiela cuff, Saint Laurent sunglasses. 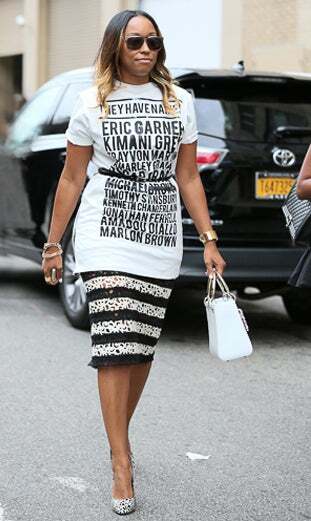 Pyer Moss T-shirt, Burberry skirt, Azzedine Alaia heels, and Christian Dior bag. NIKE tank top, Marc Jacobs skirt, Proenza Schouler bag, and Gianvito Rossi shoes. Alexander Want shirt dress, Herve Leger skirt, and Azzedine Alaia heels. Dolce & Gabbana skirt and Gianvito Rossi heels. Salvatore Ferragamo pants, Comme des Garçon top, and Proenza Schouler bag. Juicy Couture jean jacket, Aritzia top, Junya Watanabe skirt, Salvatore Ferragamo bag, Gianvito Rossi shoes. Prada dress, bag and shoes, Gucci belt, and Yves Saint Laurent Jacket. Sportmax jacket, Michael Kors top, and Prada heels.